Get summer ready with Laser Hair Removal! At Youthtopia Med Spa, we use the Cynosure Apogee Elite® laser, a high-powered system that delivers energy faster and get results more quickly than other lasers. With the ability to treat all skin types safely and effectively, the Cynosure Apogee Elite® is at the top of its class for laser hair removal. Must book before April 30, 2016! 20 FREE units of Dysport with any eye cream purchase! 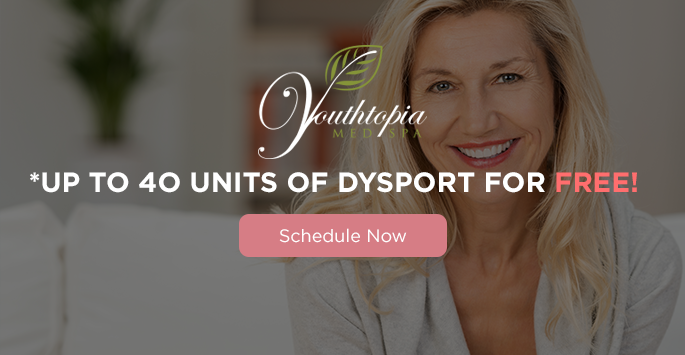 40 FREE units of Dysport with purchase of any syringe of filler! Call us NOW to book your appointment! Buy a gift certificate for $200 and receive a second on for yourself valued at $50! 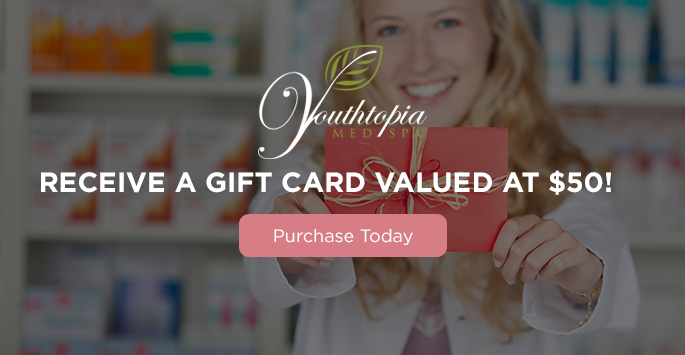 Call us NOW to purchase a gift card!